Cindy Alford was devastated to learn she was diagnosed with an incurable and fatal lung disease, known as idiopathic pulmonary fibrosis or IPF. IPF is a progressive and generally fatal disease of the lungs characterized by scarring and thickening of the lung’s lining, causing an irreversible loss of the tissue’s ability to transport oxygen. It has been six years since her diagnosis, however two months ago Cindy learned that her condition has progressed, and her lungs have deteriorated. Without a lifesaving lung transplant, Cindy will rely on full-time oxygen and her time will eventually run out. Cindy desperately needs your help! Cindy is the loving mother of three wonderful sons and eight loving grandchildren. Naturally, her greatest joy is spending time with her family. She has spent her life working hard to raise her children, and nurturing them with strong Christian values. Cindy is an active member of her church, and has always spent her time and energy helping others. 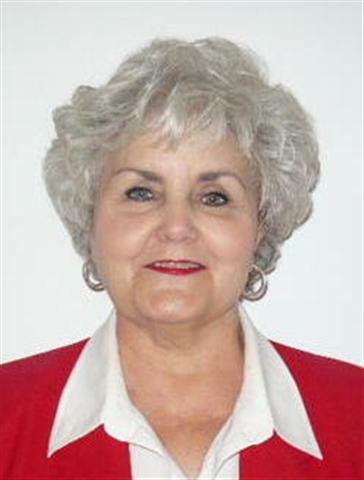 She is now retired after spending many years working for the Alabama Highway Department, and later as a realtor. However, due to her advanced lung disease and difficulty breathing, Cindy is unable to work. More than ever, Cindy is excited to receive a lung transplant, and the telephone call that will save her life. Cindy is required by Duke University Medical Center to raise $25,000 before she is listed on the active transplant list. Even with health insurance, Cindy is facing very high out-of-pocket expenses including lodging to relocate to Durham, North Carolina, for six months to be closer to Duke. Other costs include co-pays and deductibles, lab fees, health insurance premiums, caregiver expenses, and post-transplant anti-rejection medications. Cindy will rely on these medications for the rest of her life and are expected to cost upwards of $2000 per month. To help with the financial burden of Cindy’s uninsured expenses, a fundraising campaign in her honor has been established with HelpHOPELive, a trusted nonprofit organization that has been providing community-based fundraising guidance to patients and their families for more than 30 years. All donations are tax deductible, are held by HelpHOPELived in the Southeast Lung Transplant Fund, and are administered by HelpHOPELive for transplant-related expenses only. Donors can be sure that funds donated will be used only to pay or reimburse medically-related expenses. To make a tax-deductible donation to this fundraising campaign, click on the Donate Now button. Thank you for your prayers, support and generosity during this difficult time for Cindy. So sorry to hear about your problems, Cindy. We are all praying for you and have you on our prayer list at church. The Gridertown Church of Christ is donating $500 on your behalf. Love from the Dewrell family, which now has grown to 16. Praying for you Mrs. Cindy!